Lucinda Tosh (née Davies) qualified from the University of Nottingham in 2004 and has worked within a wide variety of both NHS and private physiotherapy roles. Upon qualifying, she moved to Birmingham and worked with the injured military personnel at Selly Oak Hospital. She then moved back to the Cotswolds and worked at both Cheltenham and Gloucester hospitals within the NHS until deciding to concentrate solely on her private practice work in 2012. This allowed her to also focus on her Pilates rehabilitation work, which she is particularly passionate about, in conjunction with physiotherapy. Lucinda has a wealth of knowledge and expertise in musculoskeletal outpatients, ranging from office workers with postural aches and pains to elite sports rehabilitation. She has supported people preparing for Marathon des Sables, Ultramarathons, Ironman, as well as team GB powerlifters, and each year treats a multitude of patients from all walks of life with a wide variety of injuries from the odd niggle through to major reconstructive surgery. She has also worked for a number of rugby clubs locally as well as the Worcester Warriors Academy training camps. Lucinda believes that great manual therapy skills, and active rehabilitation are critical for long-term resolution, and that true success is achieved with a thorough explanation to patients about their injury, thereby fully involving them in their management and treatment to optimise recovery. Although Lucinda treats all musculoskeletal conditions, she has a particular specialty in back and neck conditions as well as the lower limb, and works closely with local consultants ensuring the need for any onward referrals are highlighted quickly. She also specialises in adolescence injury and injury prevention and has worked as a physio to a local boarding school. 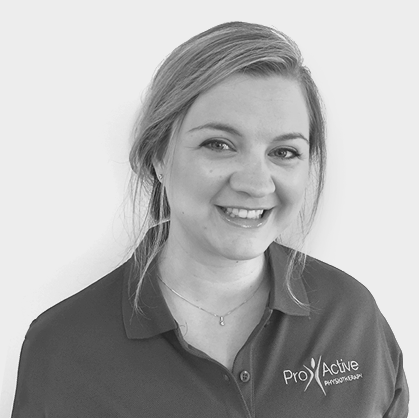 Outside of physiotherapy, Lucinda enjoys a variety of sport and exercise and is kept busy with her two children, Florence and Toby.